The Ashtons of Woolton Hall trace their origins to a family of yeomen long established at Ashton-in-Makerfield (Lancs). In the early 18th century, John Ashton (1711-59) moved from Ashton to Liverpool, where he became a cheesemonger and then in 1746 bought the Dungeon salt works near Hale (Lancs) which made the family's fortune. He quickly became one of the leading merchants in Liverpool and in 1754 was in a position to promote and invest in the construction of the Sankey Canal, which was built to bring coal into the Liverpool from the coal pits at Haydock and Parr at much reduced cost. As the salt works was a major consumer of coal, Ashton stood to benefit directly from the price reduction, as well as profiting from the carriage of the coal on the canal. 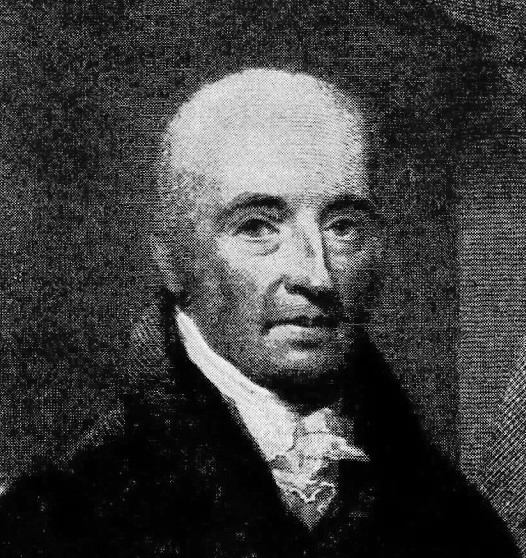 His son, Nicholas Ashton (1742-1833), who succeeded to his father's businesses at the tender age of seventeen, later leased the coal pits to ensure a regular supply of coal to his works. 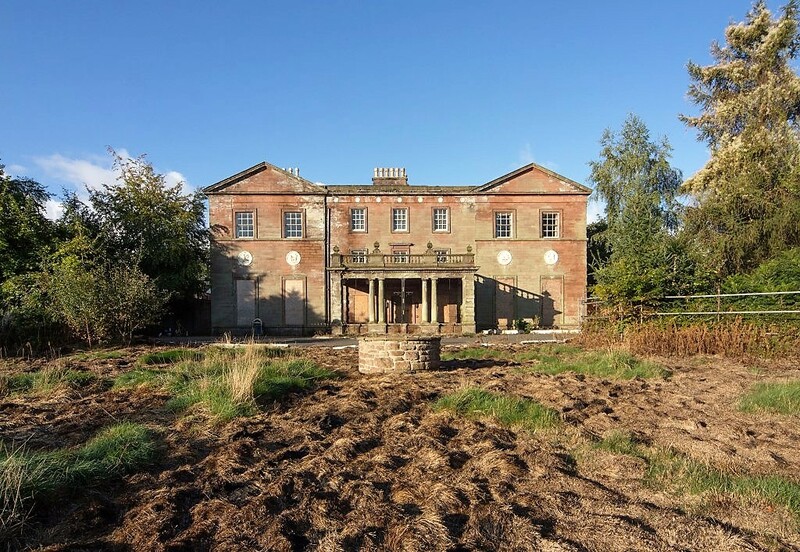 The success of these business ventures rapidly made the family wealthy, and in 1772 Nicholas Ashton bought Woolton Hall, which was handily situated between the city and his saltworks near Hale, and shortly afterwards commissioned Robert Adam to enlarge and remodel the house. For a provincial merchant like Ashton to use a fashionable architect like Adam was to make a significant statement about his ambition, wealth and self-confidence, and there are other signs that Nicholas Ashton was a young man in a hurry. He served as High Sheriff of Lancashire, an expensive office that was often filled by newcomers to the gentry elite, in 1770, and in 1769 he arranged for his mother, his wife, his young son, and two of his sisters to be painted by Joseph Wright of Derby (who was based in Liverpool between 1768 and 1771). It seems probable that there were originally also portraits of Nicholas himself and of his elder sister Margaret to complete the set, but if these still exist they have not yet been identified. Nicholas also took on the public duties of a leading citizen, and although he was never a member of the city council, he was a vestryman, a trustee of the Bluecoat hospital, a member of the Chamber of Commerce, and a founder member of the Liverpool Athanaeum. Nicholas married twice, and his first wife, Mary Philpot (d. 1777) brought him another, if more modest, country house, Hefferston Grange. Since Ashton altered this in 1776, while work was proceeding at Woolton Hall, it is at least possible that Adam also designed the changes at Hefferston, but the style is not sufficiently distinctive to allow an attribution to be made. Indeed, some writers have queried how far Adam oversaw the execution of the work at Woolton Hall itself, as the new range as built is a good deal simpler and less successful than the only surviving design. 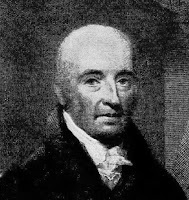 Nicholas Ashton had eleven children by his two marriages, but only the three sons by his second marriage and perhaps one of the daughters of his first marriage survived him. His eldest son was established at Hefferston Grange, but after he died in 1815 that house was let. His eldest surviving son, Joseph Ashton (1783-1836), who was educated as a gentleman at Eton, inherited most of his father's property and seems quickly to have sold the business interests. His son, Charles Ellis Ashton (1817-81), became one of the earliest members of the Liverpool stock exchange, but although he appears to have been financially successful, he sold Woolton Hall in 1865 and Hefferston Grange before 1876 and leased a number of houses, including Leeswood (Flints). His son, Charles Henry Ashton (1855-1908), followed his father into stockbroking, and the partnership he built developed into the modern firm of Ashton Tod McLaren. He seems to have leased Field House at Chester and later The Grange at Ellesmere (Cheshire) but after his early death the latter was given up and his widow and daughters moved away. The family name was continued by his younger brother, Lt-Col. Frederic Ellis Ashton (1867-1949), whose son Nicholas Charles Ellis Ashton (1904-86) was still included in Burke's Landed Gentry, although by the time of his death it was more than a century since the family had owned an estate. 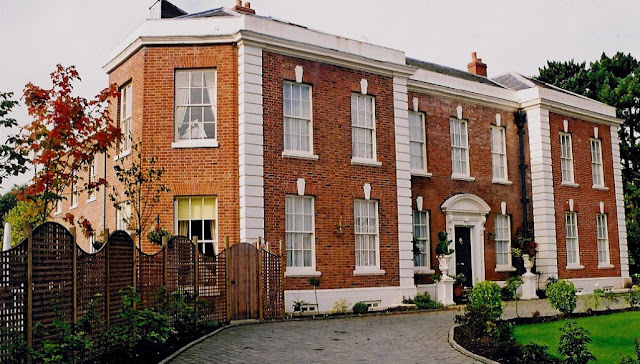 Woolton is now an L-shaped 18th century house comprising ranges of c.1709-14 and c.1774-80, but the wall between the two is said to contain 17th century work, which may be evidence of the earlier house of the Brettargh family. This can only have been very modest, however, as no house in Much Woolton was taxed on more than three hearths in 1662. Woolton Hall from an engraving of 1785. The older facade is to the right. In 1700 or 1704 the house was sold to Richard Molyneux (later 5th Viscount Molyneux), son of the builder of the west wing of Croxteth Hall (Lancs). He built the north range of the present house in c.1709-14. This has a six-bay two-storey north-facing facade, with a central pediment decorated with trophies and a cross moline (presumably a reference to the medieval ownership of the manor by the Knights Hospitallers), but there are two windows under the pediment, not three, an unexpected solecism. Furthermore, the first floor windows are squashed up into the frieze, leaving an uncomfortably deep area of blank ashlar between them and the ground floor windows. 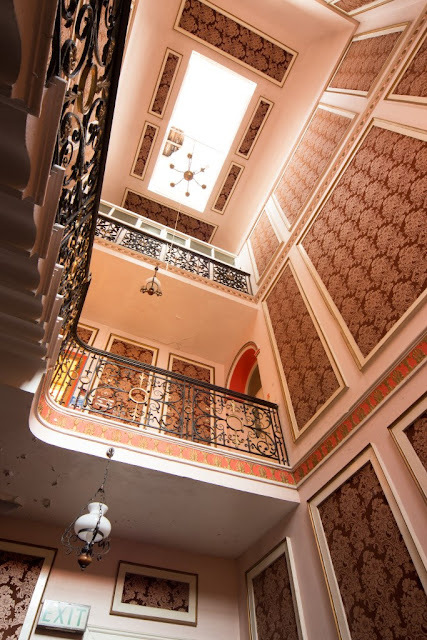 This is occasioned by the height of the very grand rooms within, but a more experienced architect would have masked the impact on the exterior. To the right is a two-bay addition, also of the early 18th century, and probably made after 1718, when Richard Molyneux succeeded to his father's viscountcy. The apsidal end of the range was added c.1865 for J.R. Jeffery, probably to the designs of Thomas Haigh & Co. of Liverpool (who in 1866-67 rebuilt the Compton House department store in Liverpool, of which Jeffery was owner, after a fire); they were perhaps responsible for the reglazing of the house with plate glass too. Image: By courtesy of the Trustees of Sir John Soane’s Museum; Adam volume 30/45. The east front, built c.1774-80 for Nicholas Ashton, is a documented work by Robert Adam, but it is not one of his best designs. Actually, the only Adam design to survive for the house is for a variant scheme with considerably more elaborate decoration and a good deal more visual unity. As built, the elevation is of seven bays, grouped 2-3-2, with the right hand two bays representing the end of the early 18th century wing and taking their proportions from it. Adam added a pediment to these two bays, and placed medallions between the ground and first floors to make the proportions more satisfactory. This unit is repeated at the left-hand end of the facade. In between, is a three-bay, three-storey centre (probably representing a remodelling of a surviving part of the 17th century house with lower ceiling heights) with circular paterae in the top frieze. Originally, the facade had a semi-circular porch, but this was replaced c.1865 by a large porte-cochere which tends to mask the three-storey nature of the centre, In the late 19th century the house was extended to the south by a further four bay, three-storey block entirely fenestrated with tripartite windows. 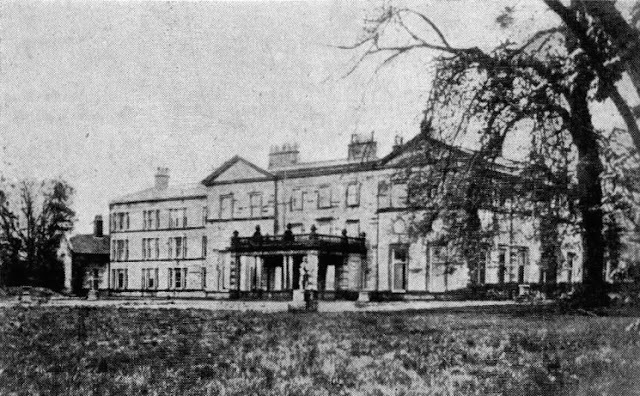 Woolton Hall: the house as extended to the south in the late 19th century. Woolton Hall: detail of the panelling in the north range. Inside, the north range houses three large and high rooms. The original six bays are occupied by the Saloon and the Tapestry Room, separated by a vestibule and a privy staircase; the two-bay extension houses a Drawing Room. 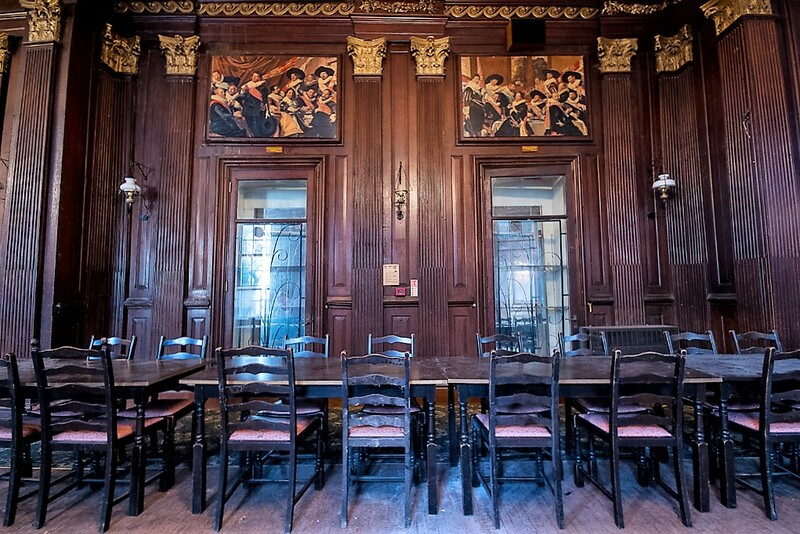 The rooms have excellent bolection-moulded oak panelling, with fine fluted pilasters framing the chimneypieces. All three rooms are 17 ft high, and originally had higher coved ceilings, accounting for the skied appearance of the first floor windows on the outside. The wall between the Tapestry Room and the Drawing Room was taken down before the Second World War to make one even larger room, which is now open into the Victorian apsidal end of the Drawing Room. In the Adam part of the house there is a charming ground-floor Octagon Room and two other rooms with stuccoed ceilings. The cantilevered stone staircase is also by Adam, with a wrought-iron balustrade. In 1950 it was noted that "Long unoccupied, except in recent years by H.M. Forces, and severely damaged by enemy action, Woolton Hall has for several years been falling into decay. In recent months, however, it has been acquired by the Convent of Notre Dame, Mount Pleasant, Liverpool, for use as a girls' school for paying pupils, and is now (February, 1950) being extremely well restored". The restoration appears to have involved the demolition of the late 19th century additions to the house. The article went on "It appears certain, therefore, that the Hall will regain its former dignity", but sadly this hope was not fulfilled for long. In the 1970s staggeringly ugly new school and convent buildings were built ridiculously close to the old building, blighting its future, and it ceased to be used for school purposes. 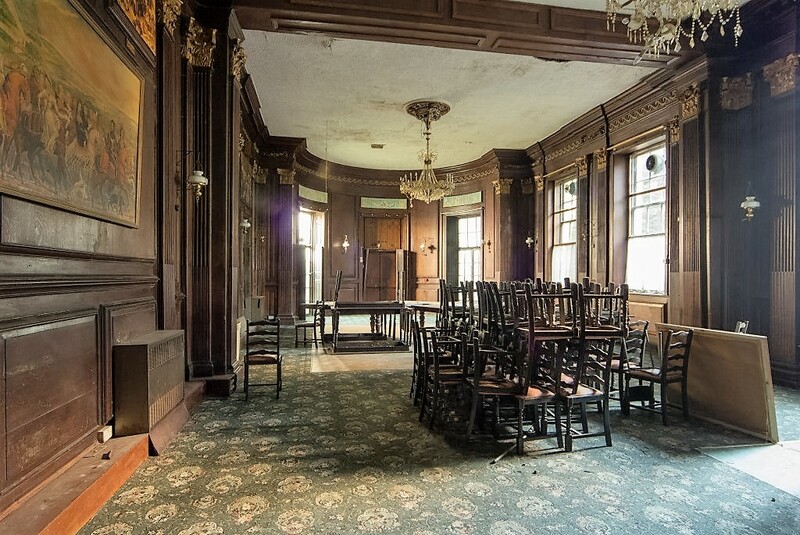 The house was last used as a club house and masonic lodge until 2006, but has been empty for some years. Plans for conversion into flats came to nothing, and that is perhaps a good thing as subdivision would be a poor outcome for a building with such significant interiors. Most other conceivable alternative uses would require the removal of the 1970s school buildings which hem the house in. 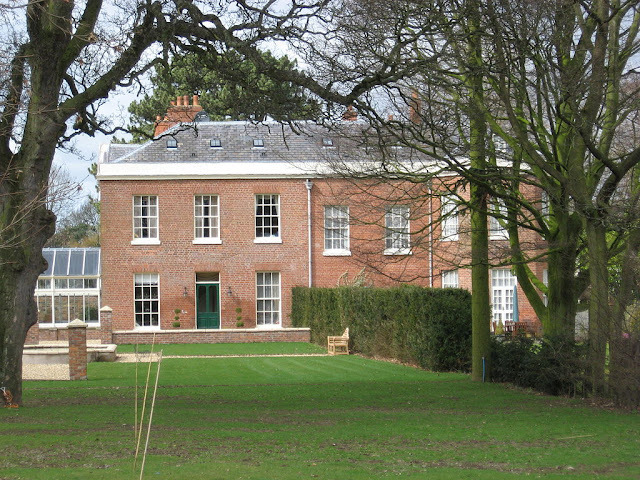 Since the latter are not only shockingly contemptuous of their setting, but also provide a very poor aesthetic environment for the education of children, it is good to know that there are active plans for their demolition and the relocation of the school a little further from the house, which one hopes will allow an imaginative scheme for the house to emerge. Descent: sold 1700 to Richard Molyneux (1679-1738), 5th Viscount Molyneux; to widow, Mary (née Brudenell), Countess Molyneux (1680-1766); sold 1771 to Nicholas Ashton (1742-1833); to son, Joseph Ashton (1783-1836); to son, Charles Ellis Ashton (1817-81) sold 1865 to James Reddecliffe Jeffrey, department store proprietor; sold 1877 to Frederick Leyland (d. 1892), shipowner; sold 1898 to Peter McGuffie as a hydropathic hotel; later used as a military hospital and as St Julie's Roman Catholic High School; sold 1980 to John Hibbert (fl. 2015). A seven bay brick house of 1741, with a recessed three-bay centre, incorporating elements of an earlier building of c.1700 within the fabric. The doorway has a segmental pediment on consoles and there are quoins of even length and windows with prominent raised keystones. It is similar in detail to Daresbury Hall and probably by the same architect. 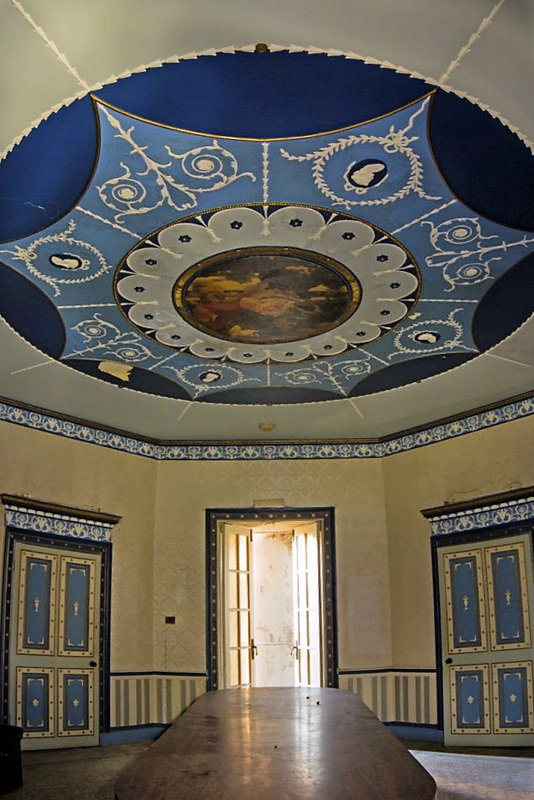 Inside, there the ceiling of the staircase hall has Rococo plaster decoration, and there is a similar stucco ceiling in a first-floor room. Hefferston Grange: south front. Image: Dr. Duncan Pepper. Some rights reserved. 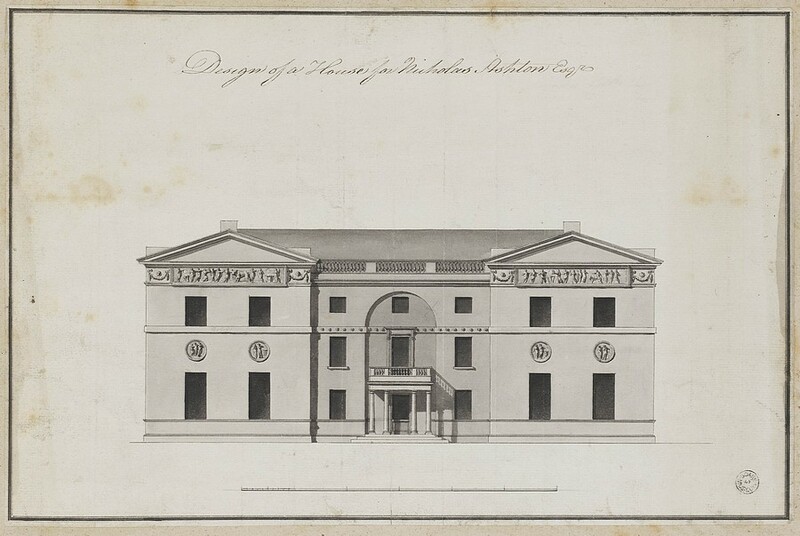 The canted bay on the south end of the entrance front is an addition of 1776 for Nicholas Ashton. The house was altered again in 1876, which may be the date of the conservatory on the west front. In the 20th century the house was used as part of the Grange Hospital and after being allowed to deteriorate and being left empty for some years, it has recently been converted to flats as part of a group of new late 20th century houses. Descent: Philip Henry (later Warburton) (1700-61); to sister Elizabeth, wife of John Philpot; to daughter Mary (1740-77), wife of Nicholas Ashton (1742-1833); to son, Joseph Ashton (1783-1836); to son, Charles Ellis Ashton (1817-81); sold by 1876 to Robert Heath...sold c.1920 to Warrington County Borough Council for use as a TB sanatorium; transferred 1948 to NHS as The Grange Hospital; sold 1986. (6) Elizabeth Ashton (1749-1819), born 27 August and baptised 21 September 1749; her portrait was painted by Joseph Wright of Derby; married 1st, 17 September 1771 at Liverpool, Dr. John Bostock (d. 1774) and had issue one son; married 2nd, 11 February 1779 at St Peter, Liverpool, Rev. John Yates (1755-1826) and had issue five sons and three daughters; died 9 January 1819. He was buried at St George, Liverpool, 10 August 1759. His widow was buried at St George, Liverpool, 28 January 1778. (2.3) Henry Ashton (1795-1870) of Poulton Hey, Bebington (Cheshire), born 4 October and baptised at Paradise St. Unitarian Chapel, Liverpool, 11 November 1795; married, 3 January 1825 at Childwall, Elizabeth Fletcher (1799-1871), and had issue eight daughters; died 22 December 1870; will proved 16 January 1871 (effects under £80,000). 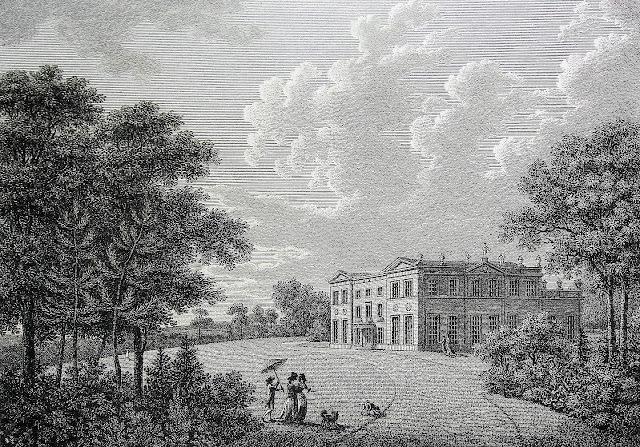 He lived in Liverpool until he purchased Woolton Hall c.1772 and employed Robert Adam to remodel it, c.1774-80. He inherited Hefferston Grange in right of his first wife c.1775 and also made alterations there. Hefferston was occupied by his eldest son but let after the latter's death in 1814. He died at Woolton Hall in December 1833, aged 91, and was buried at Childwall, 28 December 1833; his will was proved at Chester, December 1834. His first wife died 13 March and was buried at St John, Chester, 17 March 1777. His second wife died 12 May 1806. (5) John Ashton (b. 1826), born 10 July 1826 and baptised 10 January 1827; educated at Brasenose College, Oxford (matriculated 1845). 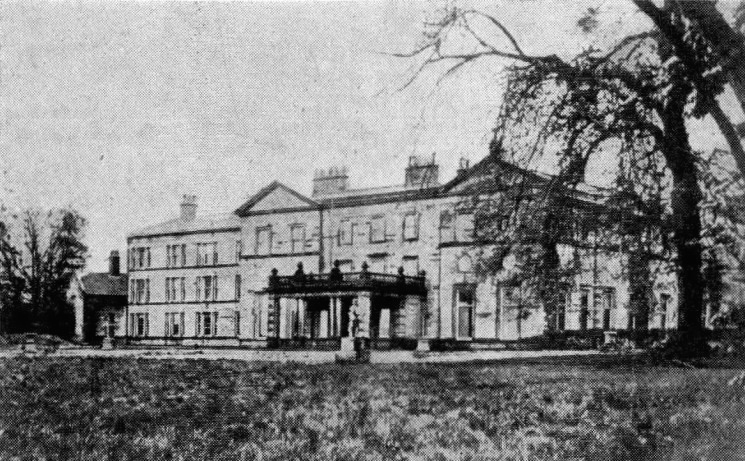 He inherited Woolton Hall and Hefferston Grange from his father in 1833. He died 12 March and was buried at Childwall, 15 March 1836. His widow died 17 February 1852. (6) Maud Isabella Ashton (1869-1961), born Jul-Sep 1869; died unmarried, 16 April 1961, aged 91; will proved 2 August 1961 (estate £348). He inherited Woolton Hall and Hefferston Grange from his father in 1836 and came of age in 1838. He sold Woolton Hall in 1865 and Hefferston Grange before 1876 and lived latterly at Leeswood, Mold (Flints). He died 29 October 1881; his will was proved 5 December 1881 (effects £83,803). His widow died 10 February 1899; her will was proved 11 May 1899 (estate £2,396). (4) Ethel Ashton (1892-1971), born 7 September 1892; married, 24 September 1919 at Ellesmere, Maj. Eric Astell Wauton (1891-1963), son of Rev. Atherton E. Wauton of Bath, and had issue; died 29 October 1971; will proved 12 January 1972 (estate £14,596). He lived at Field House, Chester and later at The Grange, Ellesmere (Shropshire), both apparently leased properties. He died 20 November 1908; his will was proved 16 January 1909 (estate £30,228). His widow died 12 December 1933; her will was proved 17 February 1934 (estate £726). (2) Nicholas Charles Ellis Ashton (1904-86) (q.v.). He lived at La Haule Cottage, St. Aubyn, Jersey (Channel Islands) in the early 20th century and later at Torquay (Devon). He died 31 May 1949 at Staines (Middx); his will was proved 1 July 1949 (estate £1,357). His wife died 12 December 1948. (4) Joseph Nicholas Charles Amedée Ashton (1937-2015), born 18 May 1937; married, Jan-Mar 1966, Jill D. Gemmell, and had issue a daughter; emigrated to New South Wales (Australia); buried 23 January 2015. He lived at 29 Castelnau, Barnes (London) in the 1960s. He died 17 July 1986 at Merrow (Surrey) and was buried at Compton (Surrey); his will was proved 8 October 1986 (estate £136,339). His wife died 11 April 1988 and was also buried at Compton, where she and her husband are commemorated by a gravestone; her will was proved 22 July 1988 (estate £143,948). No significant archive is known to survive. 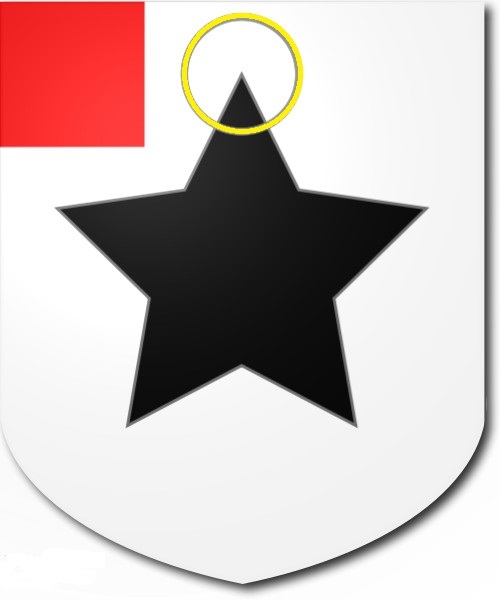 Argent, a mullet sable, a canton gules in chief, an annulet for difference. If anyone is able to provide additional career information or genealogical details for this family, I should be very pleased to hear from them. In particular, I feel that the date of death of Anna Case (née Ashton) (b. 1747; fl. 1824) should be discoverable. This post was first published 21 March 2016 and was updated 1 April 2016. Just a minor addition, viz. that Joseph N. C. A. Ashton (b. 1937) died either at the end of 2014 or beginning of 2015 (bur. 23 Jan. 2015). He had apparently been a resident of New South Wales. 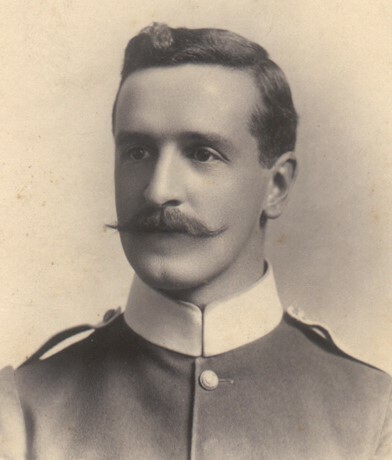 His full name was Joseph Nicholas Charles Amedée Ashton. This memorial website: http://www.goodbyetojoeashton.com has details and some interesting family photographs. Thank you for this information, which I have now incorporated in the account above.